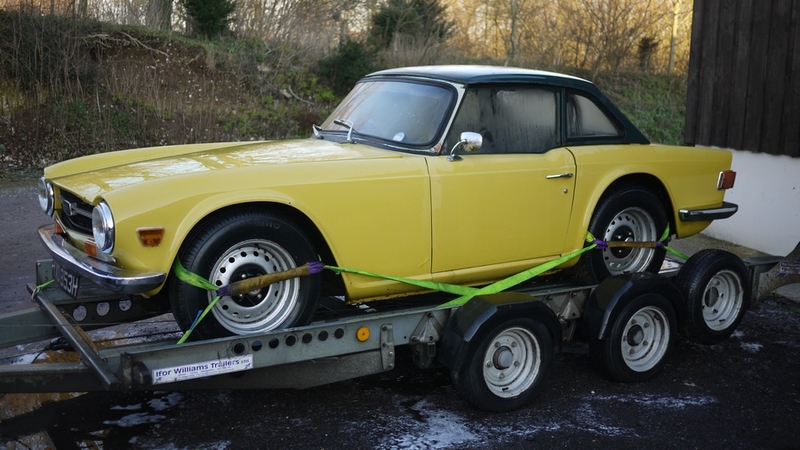 This a UK car with a low 1970 chassis number and low miles. 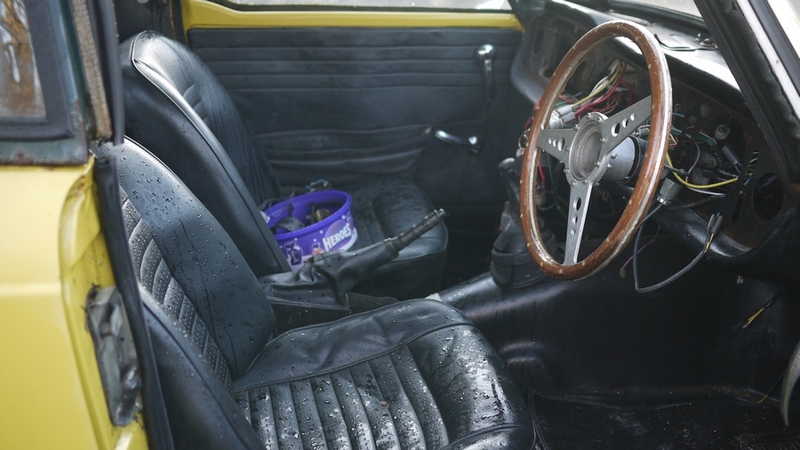 The car is fitted with optional overdrive and a steel roof. 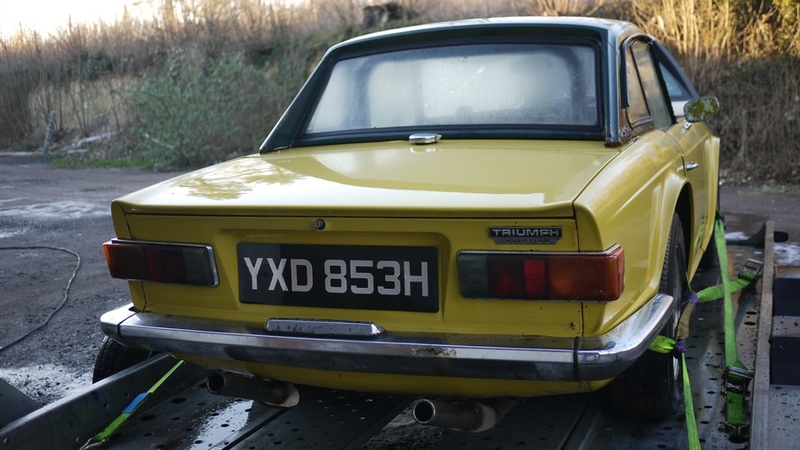 This car fully restored would be £25k….plus TR6 prices are rising. The impressive engine rebuild and triple carb set up are a positive bonus for this particular TR. 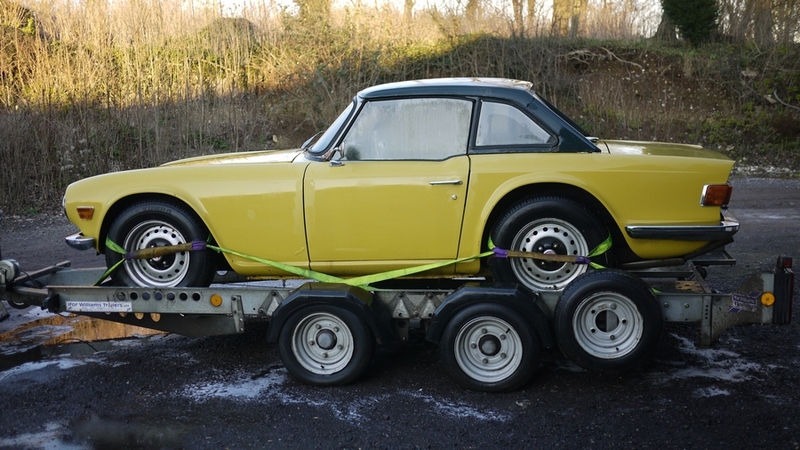 This car will not be here very long, we suggest an early viewing to secure this special Triumph. 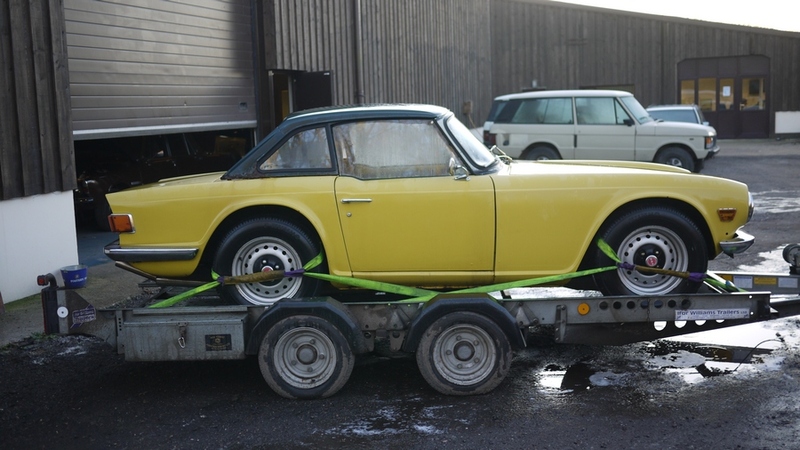 This a great opportunity to acquire a great, previously fully restored, example of the well loved Triumph TR6. 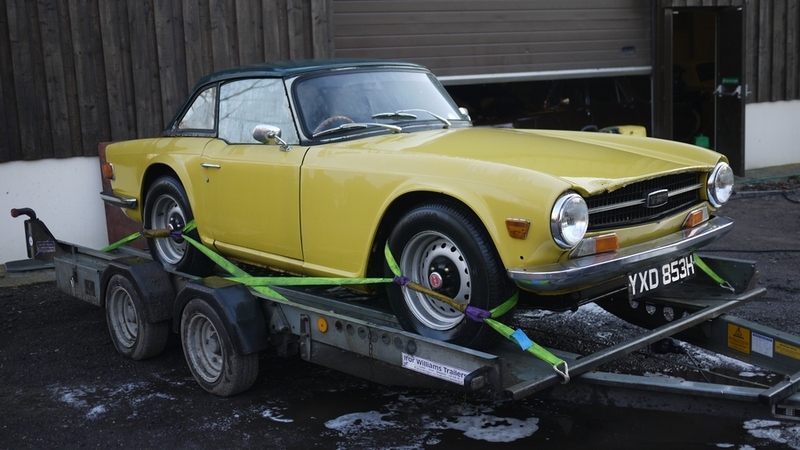 This particular TR6 has been parked away and little used for circa 10 years. The TR underwent an extensive restoration 10 years ago and this included new front and rear wings, a full engine and gearbox rebuild and full respray. The seats are in great shape with no rips or tears. The cars sits on steel wheels that are in great shape, as are the matching tyres. The exhaust looks to be stainless steel and sounds wonderful without any evidence of blowing. 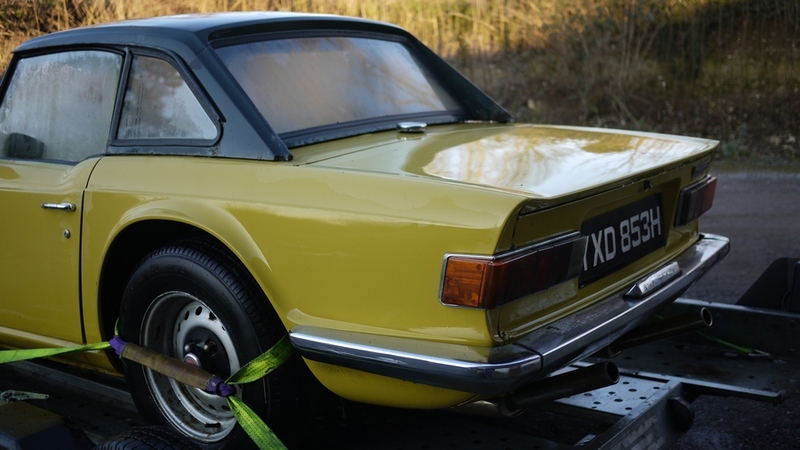 The ‘Mimosa’ yellow paintwork is generally in good shape and in contrasts well with the black interior. The car has the optional steel roof fitted and also comes supplied with the folding ‘double duck’ roof that is in good shape. 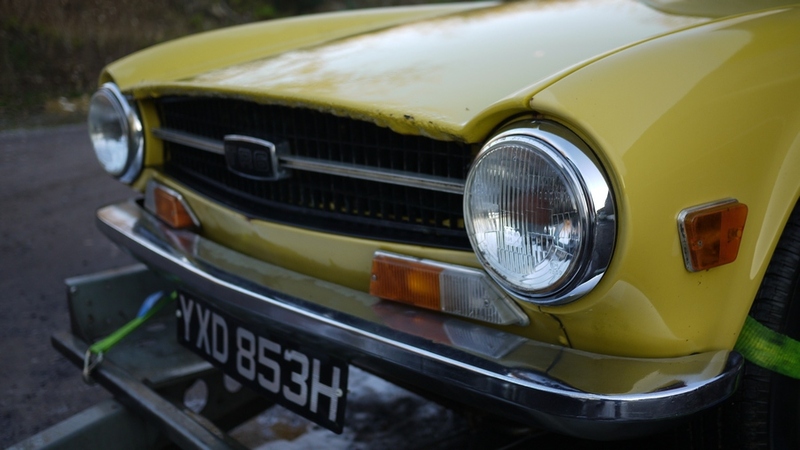 The car has MOT’ed at the end of June 2014 and was always MOT’ed annually and therefore keep up to standard. The engine fires up first time and runs beautifully with a pleasing rasp. The battery is recent too. One of the best aspects of the car is the rebuilt engine. A thousand pounds was spent on the head alone and this included polished ports and having oversized valves fitted. The car runs on triple weber carbs (rather than the original PI system). The engine is free of oil leaks and looks great with the polished alloy rocker cover. This is a 3 owner car with the last owner having her for 20 years. The last MOT suggests the mileage is circa 72k miles, however we can’t be sure this is the case of course. There are several old MOT’s certificates that warrant the mileage within the last 10 years at least. We can offer a part exchange service and offer highly competitive nationwide delivery if required. 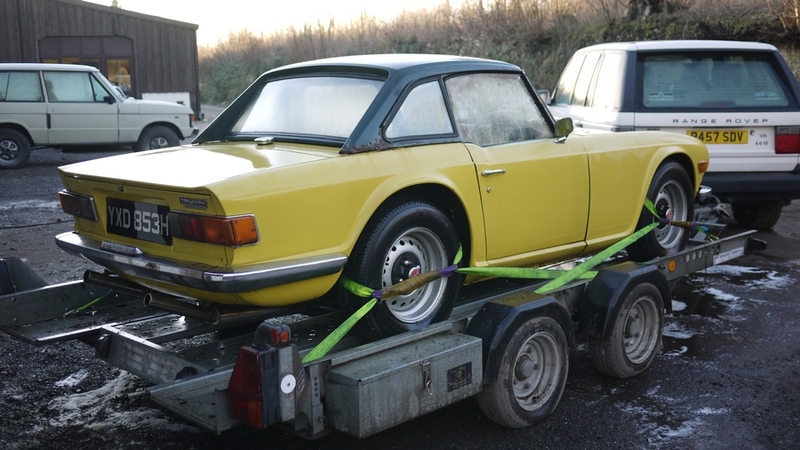 Please get in touch and arrange a viewing of this very solid example of the ‘last proper sportscar’….as the TR6 as known. We are based in the North Hampshire countryside and just 10 minutes ago from the M3 at Basingstoke or the A34 at Whitchurch. 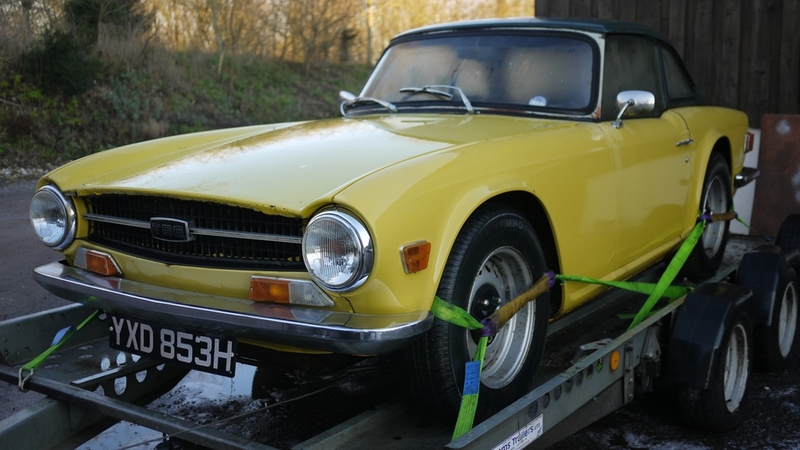 TR6 PI manufactured November 1968 to February 1975. 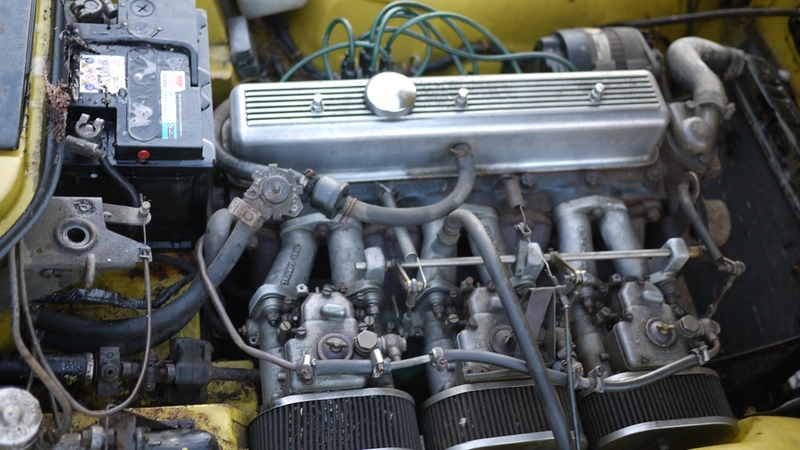 TR6 Carb manufactured September 1968 to July 1976. Wire wheels, hardtop, overdrive, tonneau cover. Front: Independent by unequal length double wishbones, coil springs and telescopic dampers. Rack and pinion steering. Rear:Independent rear suspension (IRS) by semi trailing arm, coil springs and lever arm dampers. Wheels: Pressed steel disc with 5.5 x 15 tyres. Will it fit in the garage?